Need a professional office clean but you have no idea who to turn to? 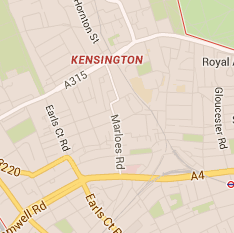 Well, you can count on Pro Cleaners Kensington any time as we provide the best office cleaning in SW7 Kensington. Rely on us to get the job done quickly, effectively and diligently. We are vastly experienced in cleaning all types of commercial premises and have a large base of regular customers who keep requesting our services again and again. The cleaners we employ are always punctual, fully-trained, certified and friendly. They use only professional equipment and “green” detergents and those are included in the initial price of our services. You won’t be making a mistake if you contacts us. Results will exceed even your highest expectations! For a detailed and precise office cleaning services in SW7 Kensington, contact our company’s established and reputable office cleaners. You can rest assured they will speedily cope with all pressing office chores. Book one of our enthusiastic and reliable cleaners in SW7 and you will be able to rest and sip on your coffee during lunch break. With us security is the last thing you should worry about as all cleaners we employ are with checked references and follow strict security policies. They can work even while you’re not present in the office at the moment. You don’t have to worry about your health either as all products we use are classified as “green”. As such they are non-toxic and biodegradable. The office clean we offer is extremely detailed. It includes vacuuming of carpets and soft furniture, dusting and polishing desks and chairs, removing coffee and food stains from sofas and carpets, washing of bird dropping from your window sills, sanitising your phone, cleaning dust from your keyboard, wiping your screen, disinfecting toilets and more. Bare in mind if you have any special requests such as window washing they will also be complied with as our cleaners work for the customers’ satisfaction. With our office cleaning services in Kensington London maintaining your work space in an excellent condition is but a child’s game. You can conveniently book us over the phone – our assistants will be happy to hear from you, so call us right away!